Front of Store – the e-book! Posted: January 30, 2012 | Author: Philip Downer | Filed under: General retail, This blog | Tags: Amazon, Borders, Ebooks, Front of Store, HMV, Kindle, Mary Portas, Tesco, Waterstones, Westfield | Comments Off on Front of Store – the e-book! I started writing the Front of Store blog a year ago, as a response to British retailers’ 2010 Christmas trading numbers. A year later, a new set of results has been published, another Christmas has been put to bed, and it feels like a sensible time to take stock. When I created the first entry, I couldn’t be certain what directions my blog would take – I knew I had plenty to say, both about my “home” trade of bookselling, and about the broader world of retail. And the news stories kept on coming throughout the year – Borders, HMV, Waterstone’s, and more recently Westfield, Tesco and Mary Portas. Underpinning the bricks and mortar triumphs and travails is the real unavoidable success story of modern retailing – online commerce, digitisation and Amazon. Ah yes, Amazon. An inescapable part of everyone’s life now, bringing good things (service and value) to the consumer, while driving a coach-and-horses through established practices in every sector it touches. Like Apple, Amazon anticipates the future, leaving its competitors to react to its initiatives. Too often, Amazon’s competitors try to protect their heritage, where instead they should be repurposing their companies for the future. There came a point last autumn when I looked at the total word count and thought, blimey, I’ve got a book here. 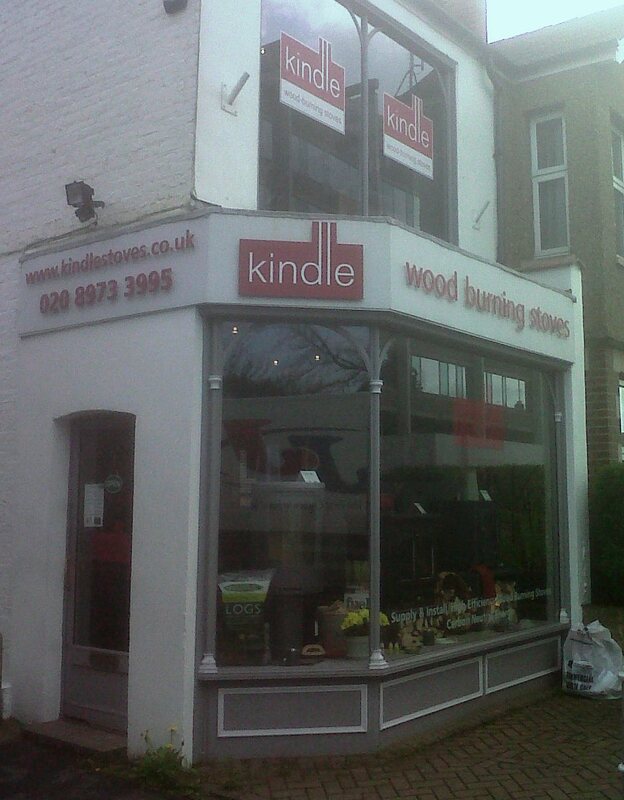 Hence a Front of Store e-book – and, of course, I’m selling it through Kindle Direct Publishing. Industry estimates suggest that around 1.3m e-readers were bought in the UK over the Christmas period, and of that number, 1.2m were Kindles. It would therefore be profoundly foolish to début anywhere other than on Kindle. Naturally, if I have a smash hit on my hands, I’ll make use of other formats – but the effort required to make a Kindle book has been fairly demanding – many evenings of editing and formatting in, and swearing at, Microsoft Word. The initially published result was below par, so today’s buyers are being offered the second edition; after KDP struggled to translate tables and jpegs into ebook format in the first version, I went back and substituted lists and descriptions. This probably says more about my book-creating abilities than it does Amazon’s – but it underlines the complexity of creating “real” books, and the relative ease of ebook publishing. I was talking to a friend last week who spends much of her life on planes and trains, and who loves her Kindle – convenience, accessibility and readability all score high marks with her. However, she confessed that she struggled to remember what she’d read on the Kindle; by contrast, physical books have a tactile presence that imprints itself on your memory (and thereafter, they sit on your shelves, whispering “remember me?”). “A Year at Front of Store” is journalism, news and comment as it happens. I’ve carried out some pretty vigorous editing – excising time-expired pieces, eliminating anything that required colour illustration (or indeed any pictures at all), improving syntax (a bit), and adding in summaries and afterwords in the appropriate places. I’ve also included pieces that were published elsewhere, and added the full text of my Frankfurt address from October. What I haven’t done is to apply any Winston Smith editing, so I don’t foresee that Mamut will buy Waterstone’s in June, or that London will riot in August. There are a number of themes that I’d like to explore for a book “proper”, which will require a shift from journalism to more considered writing. The retail industry continues to be the most fascinating business arena – fast-moving, unpredictable, unsafe, and undergoing its most fundamental changes since the birth of the supermarkets. I’d like to give a big hurrah for WordPress, which allows the Front of Store blog to happen, and whose text is relatively easy to shunt into Word, and thence to KDP. The blog has created opportunities for the Front of Store consultancy, as well as opening up some fascinating opportunities to speak at conferences and to advise behind closed doors. Finally, thanks for reading. Readership of Front of Store has been growing exponentially – January’s hit-rate is 30% higher than December, which was 48% higher than November – and so on. Here’s to an exciting, challenging, ever-changing 2012. 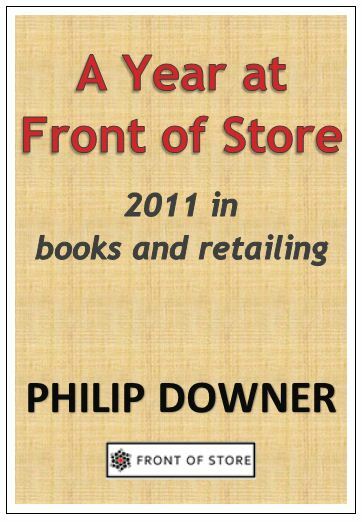 A Year at Front of Store is available in all Amazon Kindle territories – United States, United Kingdom, Germany, France, Italy and Spain. Treat yourself to a copy! WH Smith traditionally brings the Christmas results season to a close, and here they are, down 6% in the high streets and 3% at their Travel division. Although this was accompanied by the usual statements about the entertainment categories (CD, DVD, now an infinitesimal part of Smith’s mix), and “resilience”, “challenge” and “cost controls” all made their usual appearances, there was little indicating retail progress. Strong categories? Kobo and online? Former British Bookshops stores? You can manage a business for cash for so long (and it’s been so long that it’s remarkable), but at some point you have to sell more product, to more customers, more often. That’s what we want to hear from WHS, and it’s what’s missing again. I’ve been on the road for the past couple of days, and quite a few gaps in the table have been filled during that time. Strong sales from Primark and Matalan indicate that there’s still a desire for value when it’s done well. Of course, you might say the same about Peacocks, which by all accounts remained operationally profitable, but has been crippled by debt and forced into administration, threatening the biggest one-off loss of retail jobs since Woolworths in 2008. The Centre for Retail Research in Nottingham has published a sobering schedule, detailing retail failures from 2010-2012. They state that, over the five years 2007-2011, 173 retail businesses folded, comprising a breathtaking 18,342 stores, and over 150,000 jobs. Questions please to the CRR –here’s the link. Back to Christmas 2011, and at the other end of the fashion scale, Burberry and Mulberry have announced excellent growth, but it’s been unclear whether the numbers have referred specifically to UK retail, so I’ve omitted them. No such qualms with not-retailers-at-all Greene King and JD Wetherspoon. Looks as though we still have money to spend on a night at the pub! And animals had a good Christmas, even if their owners cut back, with Pets at Home up 4.9%. I posted a like-for-like book sales for Oxfam last week, and this has been followed by a flurry of other figures, reported in the Guardian. 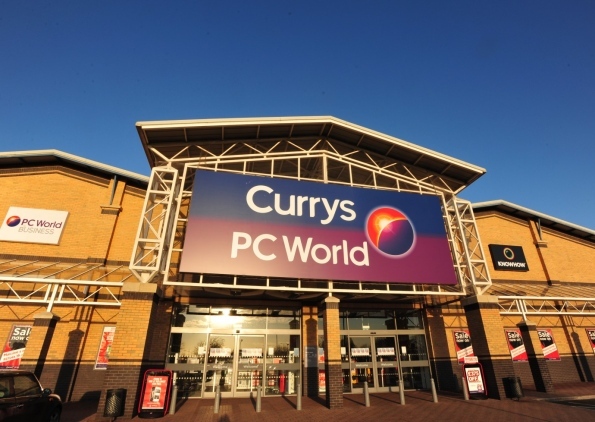 Biggest news from the mid-week period has been from the electricals retailers, with Dixons (Currys/PCWorld) hailing -7.0% as a relative success, and Comet’s -14.5% a reflection of the grim condition of a business struggling through a sale process, and pretty much disowned by Kesa. Just three additions today – Boots and The Perfume Shop, both looking good; and the McArthurGlen outlet centres, which appear to have had an exceptional season. It’s worth bearing in mind that Christmas historically has peaked early at outlet “villages” like Swindon and Cheshire Oaks – outlet customers search out the best bargains early, and then complete their shopping in traditional malls and high streets – from memory, the final weekend in November was typically the best in the run-up to Christmas. Who are we still waiting for? Of those who made Christmas trading announcements last year: Electricals – Currys/PCWorld and Comet; books/media – WH Smith and Waterstones (though the latter is now privately owned, so is under no shareholder pressure to announce); fashion: Primark, Matalan; DIY: B&Q (though Christmas is hardly a prime season for them, it’d be good to benchmark their performance against Homebase and GCG). Who would we like to hear from? Big, successful private businesses like Arcadia and River Island; PE-owned growers like Pets at Home and Hobbycraft; discount grocers like Aldi and Lidl, and bargain retailers like Poundland; niche successes like Jack Wills and Cath Kidston; mega-brands like Selfridges… It’s a long list, and any analysis of published numbers is inevitably just a snapshot of a sector which is far less plc-dominated than in the past. Meanwhile… Good numbers from Original Factory Shop, The Entertainer and Superdrug, but another tough season for Theo Fennell. Nul points to Asda and Ted Baker for announcing total growth for Christmas, but not like-for-likes. Of course, I appreciate they don’t have to announce anything at all, but if I had shares in Wal-Mart, I’d want to know what was what. After a positive start to the week, things have turned ugly with poor results from Tesco spooking the markets, and throwing fresh doubt over the sector. As you can see from the table above, Tesco has performed significantly worse than other supermarkets (and M&S food, which has been broken out separately in reporting, and which saw a like-for-like increase of 3%). House of Fraser has posted some remarkably good numbers, but it isn’t clear whether they’re inc or ex-VAT. For the record, I’m a committed ex-VAT person – including a variable rate of tax in your sales is no way to accurately reflect like-for-like shopper behaviour. Anyway, back to Christmas 2011, and as expected, times were tough at the likes of Halfords, Thorntons and Mothercare. 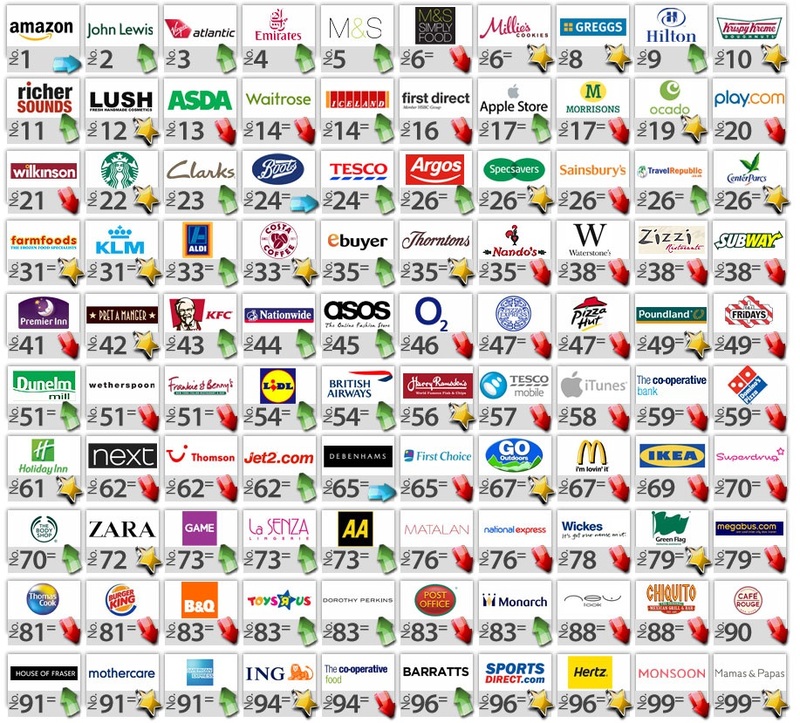 Argos had a particularly grim set of results – for how long will 750 stores be sustainable? FTSE 100 retailers are now shown in bold. Plenty of results added to today’s table, including a couple of outriders that you may not have seen reported elsewhere! 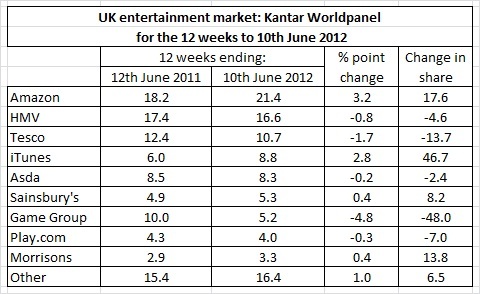 Game takes over at the unhappy end of the chart; their LY numbers are highlighted because of a change in reporting period – for 2010, they reported five weeks to 8th January, this time around, an additional three weeks pre-Christmas were included. The Co-op also made a change – the prior year numbers relate to a 13 week period, October – December. There’s some inc-VAT (Debenhams) and ex-VAT (Majestic) differentiation, which given the rate jump from 17.5% to 20% has a bearing on different companies’ numbers. And of course, these are just sales – not profits. The rumbling undercurrent – “of course, their margins will have taken a hit” – accompanies many of these announcements. It looks as though this year, every media source and his dog is going to be publishing regular updates on Christmas trading, so I’ll keep this brief, and update it as required. I’ve included last year’s numbers, where I have them – and as this is a busy office, I haven’t dug out LYs where I previously didn’t have them – I’ll try and infill if Edwin Drood becomes unwatchable. And for the many hundreds of you who enjoyed my “8o towns” blog from last week, I’ve shown store numbers. Counting stores is always an inexact art, but most of the chains are on multiples of eighty. Some will stay that way – supermarkets, Next. But there’s restructuring in the air. Just to keep us all honest, this article from the Telegraph highlights some of the more imaginative ways that Christmas performance can be characterised. Barratts Priceless, Blacks, D2 Jeans, Hawkins Bazaar/Tobar, La Senza, and Past Times. Ask not for whom the bell tolls, but let’s hope stores can be rescued, and jobs maintained. The festive season hangover – the publication of Christmas trading results – is almost completed. 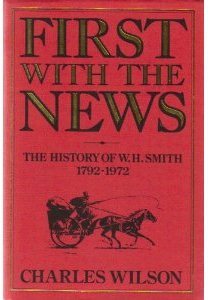 WH Smith will announce next week and, on past form, that is likely to be the end of it. Thereafter, we will have to wait for actual half-year and full-year reporting, so that we can understand the levels of discounting that were needed to deliver some of those better-than-expected like-for-likes. Away from the real strugglers, two businesses caught my attention. 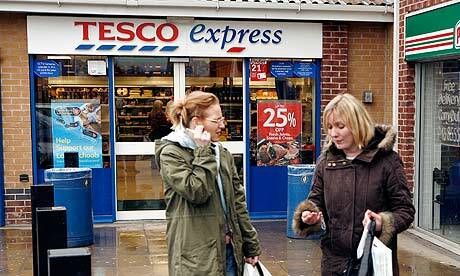 The first was, of course, Tesco, whose -2.3% LFLs sat uncomfortably next to Sainsbury’s +2.1% and Morrisons +0.7%. 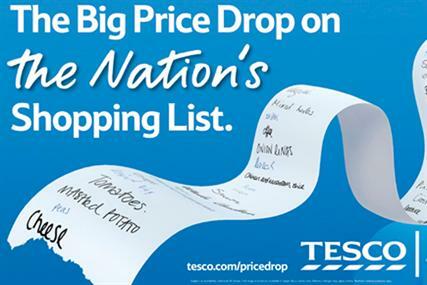 CEO Philip Clarke has now been in post for well over a hundred days, but he is acknowledging that Tesco has to change. His comments, allied to the poor trading figures, caused a sharp fall in Tesco’s share price, but it’s very clear that action is under way. I’ve written before about the grudging nature of the Tesco store experience (here), and the sense I always get that the best interests of the consumer have to be aligned with the best interests of Tesco, rather than the other way around. It looks as though Clarke understands this – the Big Price Drop was yesterday’s response to today’s problem, and achieved the double of being trumped by other supermarkets’ vouchers whilst alienating loyal Clubcard holders; Fresh & Easy is looking like a bullet that needs to be bitten. You can go on growing space but we probably won’t be growing very big hypermarket space any more. We have got a few hypermarkets coming but will be announcing more on the bias of stores in April. In other words, less of this in future? And rather more of this? We’ve seen problems for big box operators, as a result of online competition, in specialist sectors – Comet, Best Buy, Borders, Virgin Megastore and many more. However, the suggestion that Non-Food isn’t pulling its weight at Tesco; that Non-Food is as vulnerable in Tesco to online competition and showrooming as it is in less diversified specialist retailers – well, that is quite a sea-change. With 10% of all retail spending in the UK now taking place online, it’s inevitable that Tesco will be suffering attrition from online-only retailers, but the strategic shift implied by Philip Clarke (presaging an announcement in April) could herald the biggest shift in the pattern of UK retailing since Woolworth failed. Perhaps it also paves the way for Tesco to save the high street…?! 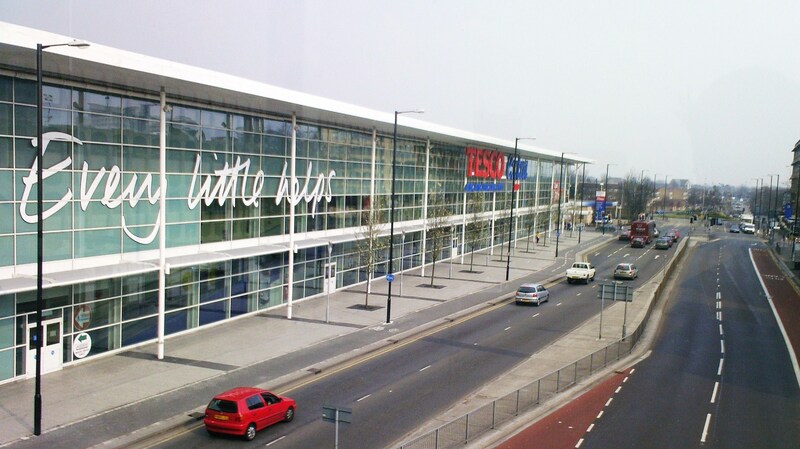 However, I don’t buy the “big box dinosaur” argument, although – as the Tesco Extra picture above demonstrates – you can reach a point when the size of your store becomes oppressive, and just adds to the unwelcomeness that can be part of the Tesco experience. But good big boxes will survive and thrive, both because retail parks work exceptionally well (particularly away from London) as the most cost-effective way of bringing a diverse retail offer to a scattered population, but also because the big box experience, when done well, can deliver results that the high street just can’t match. 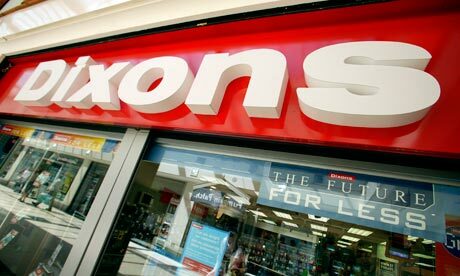 And so to Dixons. It’s been a filthy Christmas in electricals, with Best Buy closing down and Comet getting worse and worse as Kesa takes time to sell, leaving Dixons looking relatively healthy with a -7.0% like-for-likes. Chief Executive John Browett has been concentrating on changing the way the stores look and – more importantly – the way the customer feels about his business. I think he’s on the road to success – I liked the “Black” store at Westfield, and I really liked the refurbished Currys/PCWorld retail park store I visited earlier this week. Like the store in this photograph, a consolidated electricals offer is now available under one roof, and sensibly the consumer electronics – audio, visual and computing – are on the ground level, with white goods – washing machines and vacuum cleaners – on a mezzanine. This makes for a smaller and more efficient footprint, but it also enables Dixons to create an electronics offer that I think makes John Lewis look tired and off-pace. John Lewis? Bow, bow ye upper middle classes! But where JLP presents a brown goods world of carefully delineated TVs, radios, hifi and computing, the new Dixons layout recognises that we don’t use devices in this way any more, and that the distinctions between various product lines are now blurred. Its layout and flow presents a more effective offer for the consumer, and invites them to enhance their home electronics more effectively than old-style competitors. Wireless sound systems and big screens are now computer adjuncts, not “hi-fi” and “television”, and Dixons gets it. Their Knowhow sub-brand message is driven home with relentless effectiveness – we really do understand this stuff, it says. Much has been made of the culture changes within the business, recognising (at last) that an ill-informed hard sell in an intimidating environment just doesn’t work any more. The new stores are customer friendly with good graphics, plenty of explanation and demonstration items, and informed but unpushy service. Amazon’s small overheads and Tesco’s huge scale have enabled cheaper products to eat away at the specialists’ profits. 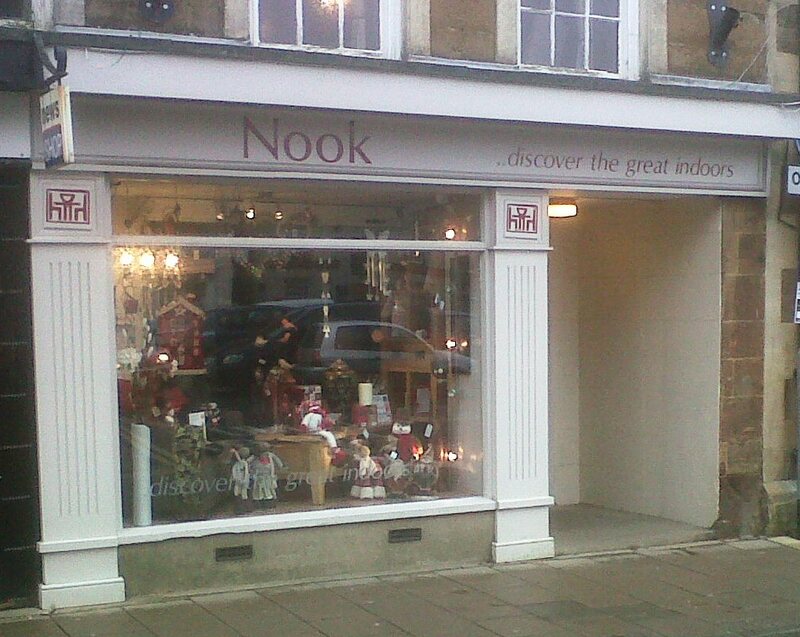 So far they have resisted the fate of the book and record stores swept off the high street by online rivals. Could the worsening economy now push yet another retail category into the virtual universe? There are just 41 shopping days left until Christmas, and though the streets of Staines were busy yesterday afternoon, there’s still a lot more window shopping than actual commerce taking place. Consumers are well-versed on tough Christmases now, and the question is not “will prices fall?” so much as “how early will the sales start?”. There’s already plenty of red-and-white in the windows, as hard-pressed retailers seek to liquidate stock and free up cash. London’s West End tourist boom continues, with Crown Estates announcing that there will be fewer, larger stores in Regent Street in the future; Westfield Stratford has welcomed millions of customers (I’ll be back there on Tuesday) and has indicated that the old Whitgift Centre in Croydon could be next for the Westfield treatment. But London has never been as disassociated from the rest of the country, in retail terms, as it is now. It’s going to be a difficult Christmas, with every sale a small victory against consumers’ tight purses and low levels of “feel-good” (despite that “Capracorn” John Lewis ad). Online will grow, device sales will soar (Best Buy may be dead, but Wireless World is Carphone’s focus now) and new retail formats will emerge on the shoulders of the old. Marketing strategy researchers Nunwood have published their Top 100 chart of UK consumer brands, based on feedback from 7,000 consumers. You can read more about their findings here.